eDiscovery Cost Dilemma – Quotes, Assumptions and Ethical concerns. While working as an eDiscovery consultant, all my clients had the same question, what’s the final cost? Rightly so, because eDiscovery is not cheap. Just type in “eDiscovery” on Google and you will be flooded by thousands of articles discussing the same issue. Now the real dilemma was to provide a quote that will benefit both parties. As a vendor we wanted higher margins, while my clients wanted everything for free(no joke). Due to uncertainties of data size, file types, custodians, deadlines, review methods etc. providing a hard quote would be similar to guaranteeing your client $500,000 judgment after the first meeting. Just like any ethical-diligent-attorney who needs to do further digging and fact finding, I needed to ingest all the data in our processing environment and analyze the entire data set. “Fair enough Yasir, give me an estimate, one of the custodian thinks we have about 4 GB of data. Half of it maybe PST files.” I am going to attempt answering this general question, while assuming tons of random facts. The breakdown I am about to provide should never be cited during cost disputes and even worse, motion to compel for allegedly-overly-burdensome-production request. If an eDiscovery processing engineer is reading this, I am sorry in advance. For the sake of lovely whole numbers, we will base our analysis on 1 GB worth of data. My goal is not to solve the cost/benefit dilemma faced by litigators, but to provide some guidance to beginners. Catalyst Secure analyzed 29 cases in their database and came up with an average of 2639 documents per GB (http://www.catalystsecure.com/blog/2011/07/answering-an-e-discovery-mystery-how-many-documents-in-a-gigabyte/) . the rates are going to be the best rates being offered in Michigan under my experience. If you are quoted anywhere close to these rates, consider yourself lucky. Obviously the rates are inversely correlated with the volume of data. If the volume justifies the cost, the vendors may offer keyword searching, de-duplicating within the $300, but that’s unlikely. Realistically, litigators can’t predict what percentage of data might be relevant. This calls for keyword searching, de-duplicating etc. (we are not going to discuss Technology Assisted Review A/K/A Predictive Coding). The absolute best rates (for culling) in Michigan are $50/GB prior to processing the data for review. A litigator might decide to cull the data on the front end (pre-processing). Traditional culling methods(which is what we are discussing) can reduce the data from 40% to 50%. Culling Data for Your Case, ABA, http://apps.americanbar.org/litigation/committees/technology/articles/110410-electronically-stored-data-culling-software.html. If your vendor is in the holiday spirit, and in a giving mood, you might get a quote for $50/GB for culling. Which means you will only have to process around 500 to 600 MB (after culling 1 GB worth of data). eDiscovery processing cost for 100 GB: 5000 + 15,000 + 6000 = $26,000 plus hosting/review cost. The option to review data in PDF format is available for those not willing to invest in a review software. Due to my bias towards technology, I am of the opinion that you are doing yourself and your client a disservice by not utilizing a review tool. At the same time I do appreciate thousands of successful litigators, who have been successful in their ways. To convert data from native format to PDF cost .02/page and .01/page to OCR (Optical Character Recognition). OCR means to make the document text searchable. 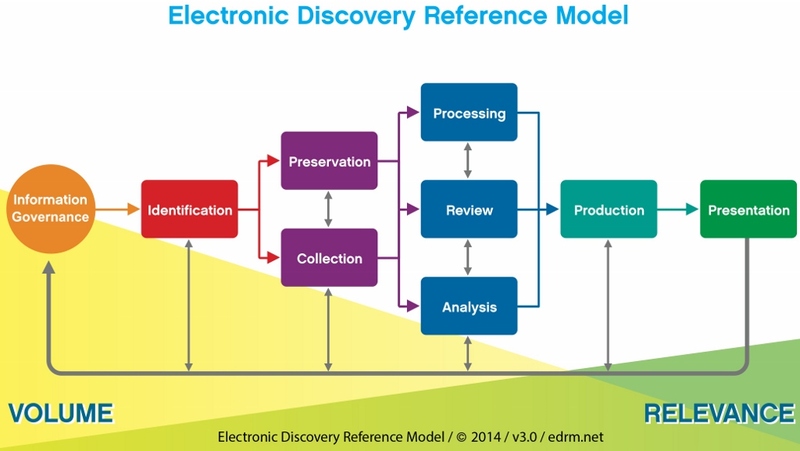 Technology is constantly evolving to make our life easier, eDiscovery is no exception. Litigators can cut the amount of ESI in half by utilizing simple methods of de-duplication, keyword searches and date ranges. However, the issue we face is whether a litigator can get a soft quote from a vendor prior to committing? The answer is maybe, I KNOW, that’s not helpful Yasir! The only solutions are if vendors are willing to offer free data analysis or law firms invest in a basic data analysis software. Litigators face an interesting dilemma while contemplating eDiscovery protocol. They must balance their fiduciary duty to clients with obligation to their partners and business. Majority of the time eDiscovery is a pass-through-cost to the client. Firms don’t make a profit on data processing, however if they decide not to utilize culling or reducing unnecessary ESI, they will increase their billable hours. Now the dilemma is whether to benefit your client or your own practice. Justification to clients is simple and to an extent i can appreciate it – attorneys feel more comfortable reviewing traditionally. All that can be said is, CLIENTS BEWARE! This blog contains commentary by a law student. My analysis and thought on the subject are not by any means advisory or binding law. This blog is for awareness purposes only and not for the purpose of providing legal advice. You should contact your attorney to obtain advice with respect to any particular issue or problem. Use of and access to this blog or any of the e-mail links contained within the site do not create an attorney-client relationship between Yasir Muhammad and the user or browser. The opinions expressed through this site are the opinions of the individual author.